Through a vast display of medical examinations and scientific data, the film “Concussion” directly links repeated violent brain trauma of National Football League worker-athletes to dementia, depression, memory loss, mental illness and even suicide. 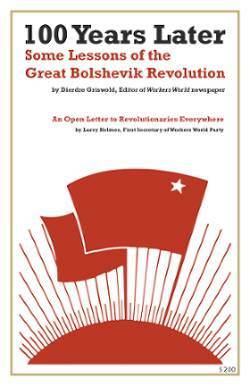 The truth is all laid out here in a melodramatic and undeniable fashion. It’s an ugly reality, and a bit uncomfortable for most football fans, but the truth is, the NFL is a billion-dollar industry that doesn’t a give a damn about its player-employees. To the owners, management and corporate CEOs who reap most of the NFL’s financial gains, the NFL brand is the greatest, most profitable form of violent entertainment in the world. For the worker-athletes, professional football is a beloved passion that requires great strength, power, speed and courage. For the worker-athletes, it is also a game that may cost them their lives. For those who want the truth, “Concussion” truly is a monumental film that needs and deserves to be seen. 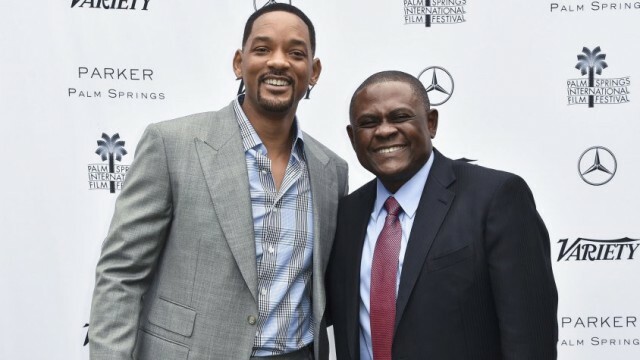 Actor Will Smith, Dr. Bennet Omalu at ‘Concussion’ premiere. Omalu is a brilliant African immigrant doctor who practices in the U.S. as a neuropathologist. His work lands him in Pittsburg — home of the old steel mills and the Pittsburgh Steelers. For Dr. Omalu, life is pretty stable, calm and peaceful until he performs an autopsy on former Steeler great, (center) Mike Webster. Following his induction into the NFL Hall of Fame, Webster was found in his car after having committed suicide. After a thorough autopsy and a series of medical examinations, Dr. Omalu comes to realize that the longtime Steeler, “Iron” Mike Webster, had been quietly going insane for years. In a brief span of time, Webster went from being a well-paid NFL warrior to being homeless, sniffing glue and pulling his teeth out with pliers. Webster had received more than 70,000 violent blows to the head from his childhood up throughout his 18-year career in the NFL. As Dr. Omalu states in the film, “The human brain wasn’t meant to absorb that kind of consistent violent impact.” The team owners may deny it, but the raw physical evidence cannot. The further he digs, the clearer it becomes to Omalu that the NFL’s hard-hitting brand of violent entertainment and high-speed collisions are not only costing worker-athletes their arms, teeth, shoulders and legs: repetitive brain trauma is costing them their lives. Omalu coins this condition “chronic traumatic encephalopathy.” It’s important that these worker-athletes know the ugly truth about this business. Just like the corporate giant tobacco companies used to deny the impact of their product on cancer rates and other related illnesses, “Concussion” clearly illustrates how the NFL is just as guilty in their denial of the impact of consistent brain trauma. The numbers, however, speak for themselves. Eight former employee-players of the NFL have committed suicide since 2011. Dave Duerson was NFL “Man of the Year” in 1987 and a two-time NFL Super Bowl champion with the New York Giants and Chicago Bears. In 2011, he killed himself by putting a shotgun to his chest and pulling the trigger. Duerson was only 50 years old. Kurt Crain of the Denver Broncos and Miami Dolphins was 66 when he committed suicide; Ray Easterling of the Atlanta Falcons was 62. In 2012, former San Diego Charger Junior Seau, one of the NFL’s all-time greatest linebackers, was a young 43 years old when he committed suicide. Andre Waters died at 44, Jovan Belcher at 25 and Paul Oliver at 29. All died from self-inflicted gunshot wounds. In May, 25-year-old Adrian Lynn Robinson hanged himself after playing for six different NFL teams between 2012 and 2015. In 2005, Pittsburgh Steeler offensive lineman Terry Long committed suicide by drinking a gallon of antifreeze. According to a recent Boston University School of Medicine study, out of 34 NFL football players tested postmortem, 33 tested positive for clear signs of CTE. More than 4,500 former NFL players are now in class-action suits against the NFL for its lack of care and denial of medical evidence. How can we cheer our heroes when they’re on the field, yet deny their condition when they’re finally finished breaking their ribs and fibulas for our entertainment? This is the story of proud gladiators dying in disgrace, vibrant families left in ruins. The beauty and power of a film like “Concussion” is that it pulls back the covers of just how heartless, greedy and unethical the ruling-class elite can be. While the primary concern of owners is the value of their entertainment product, team doctors are paid serious sums of money to completely ignore existing player conditions: headaches, torn ligaments, concussions, sprained ankles and more. Instead of receiving proper assessments, current and former players are often misdiagnosed and denied effective treatment. To the worker-athlete, professional football is the ultimate team sport, a game of honor, skill and great sacrifice. To the NFL, however, professional football is merely a business of entertainment fueled by the American Dream, young bodies and expendable labor. “Concussion” effectively illustrates the importance of truth, honor and courage over exploitation, capitalism and big business entertainment.